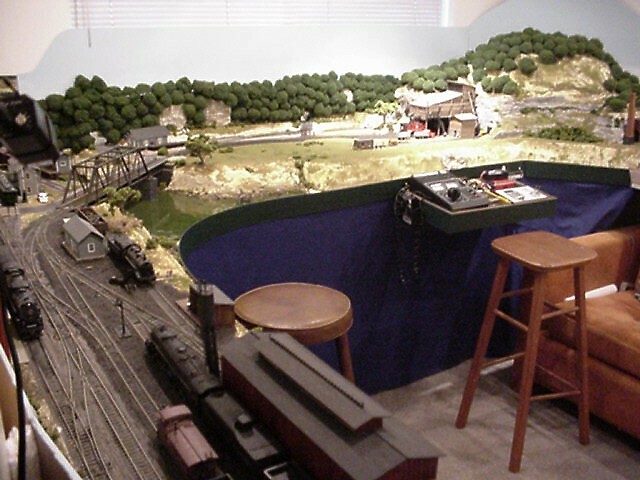 The C&O New River Subdivision models the C&O Rail Road in 1955 in south central West Virginia around the town of Thurmond, West Virginia. . It follows the C&O prototype including the track plan, structures and operations for the C&O serving Thurmond. The C&O New River Subdivision has continuous loop operations and serves Thurmond on one side and Mt Hope on the other. And passenger service includes daily through service for the C&O’s Sportsman , George Washington and Fast Flying Virginian ( FFV) service serving Cincinnati and Newport News VA which also services Thurmond. Plus a local 2 car passenger service between Mt Hope and Thurmond which makes six daily runs. Thank you for enjoying my railroad!